Today I'm pleased to welcome father-son writing duo Lance and James Morcan back to the blog. Following on from the posts and giveaways I did for their previous novels White Spirit and Into the Americas, I now have another spotlight on their latest - World Odyssey. And don't worry - there's another giveaway at the end of the post! Sheltered English missionary Susannah Drake gets more than she bargained for when she agrees to journey to the South Pacific to spread God’s Word. Set in the nineteenth century, WORLD ODYSSEY (The World Duology, #1) follows the fortunes of three young travellers as each embarks on an epic journey. Their dramatic adventures span sixteen years and see them engage with Native American Indians, Barbary Coast pirates, Aborigines, Maoris and Pacific Islanders as they travel around the world - from America to Africa, from England to the Canary Islands, to Australia, New Zealand and Samoa. Ambitious American adventurer Nathan Johnson's journey begins when he runs away to sea to escape a violent father. After surviving a shipwreck and enslavement by one of the indigenous tribes of America's north-west, his stocks rise and he becomes a successful trader. When Nathan decides to visit Fiji to trade muskets to the natives, he doesn't know it but his fortunes are about to change again. Irrepressible Cockney Jack Halliday's journey begins when he steals hemp from an unscrupulous employer who owes him outstanding wages. For this, he's sentenced to seven years' hard labour in the British penal colony of New South Wales. Jack escapes to Fiji only to be tracked down by a bounty hunter employed by the British Government to round up escaped convicts. After travelling thousands of miles and experiencing the best and worst that life can offer, these three disparate individuals eventually end up in the remote archipelago of Fiji, in the South Pacific, where their lives intersect. Their story continues in Fiji, book two in The World Duology. World Odyssey is available to buy now. 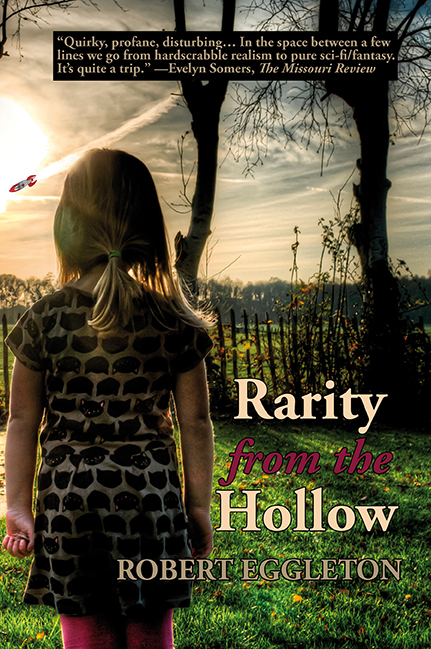 Lance and James have very kindly offered an ecopy of the book for me to give away to one lucky reader. Enter via the Rafflecopter widget below! Giveaway closes on 3rd April 2017 at 11.59pm (GMT). 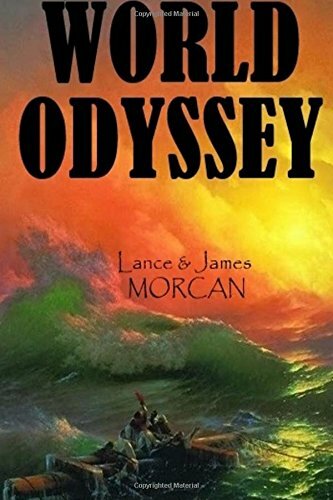 The prize consists of one ecopy of World Odyssey by Lance and James Morcan. 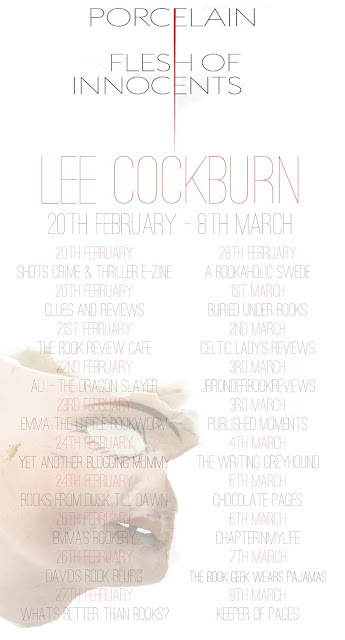 Today I'm pleased to welcome Zee Monodee to the blog, to talk about her life, her writing and her latest release Before the Morning. Hi, Zee, welcome to the blog! Well, hello! It's a pleasure to be here today; thanks for inviting me! I am an island girl, born and raised in Mauritius (cue the geography moment – almost in the middle of the Indian Ocean, lol). In my early thirties, married, mum of a teenage lad. Uni graduate in communications science, but totally ditched the corporate world in favour of writing and editing (which is my ‘day’ job outside of writing). 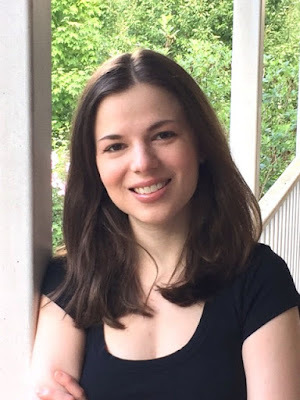 I guess what defines me the most, though, is that I am a 2x breast cancer survivor; I actually started writing because of my first diagnosis at the age of 22. Penning my first novel then kept me grounded through the long months of therapy after that health bomb. As for my background – like I mentioned above, my university studies put me further into the field of arts and humanities, but I graduated school with a solid foundation in economics and languages, as in both English and French and their respective literature fields. I can’t recall a time when I wasn’t interested in writing. I used to pen a daily diary ever since I was 10, and lately, when I fell back on those booklets my mum had still kept at her place, well, let’s just say reading them reminded me a lot of YA angst and impulse-driven thoughts. I was also always going over the word count assigned for essays at school, so much so that my 6th-grade primary teacher would stop at my desk every time he gave an essay and ask me, “Are you writing up a novel, girl?” We can say his words were prophetic! This continued in higher classes, where my essays resembled the synopsis for a Mills & Boon romance – said essays, after being corrected by the teacher, would make the rounds among my classmates and friends as ‘the’ reading material of the moment; they all wanted to see what new romance I had come up with. So yeah, I have to say, writing had always been in my blood – that’s what it’s felt like, anyway. What draws you to writing romantic suspense? I love the element of danger in it. The stakes are so much higher than in a regular romance. The hero and heroine don’t just have to end up together, but there are massive odds to be beaten and these are not things that can be resolved through talk or discussions or therapy, even. No, we’re talking guns, hits, assassination attempts, unscrupulous thugs, evil masterminds, sociopaths out to make you their toy of the moment, among so many other threats. How do they come of all this, and how to do it never mind unscathed, but still alive, and with the hope of seeing tomorrow? Gotta say I love that adrenaline rush, so yeah, I suppose it is the thrill junkie in me that brings me to this genre. Tell me about Before the Morning. I’d actually never planned to write this book! After writing the first book (Walking The Edge), I’d ended up with all this amazing trove of espionage information that I didn’t get to use in there. Around the same time, on a Goodreads group I belong to, a challenge was starting – write a friends-to-lovers story, but with a dangerous hero component in there. I immediately knew that, if I did take up this challenge, my story would have not a dangerous hero, but a dangerous heroine! Then the friends to lovers aspect came into play... and I had Rayne Cheltham and Ash Gilfoy. Best friends from childhood through their young adult days, except that Rayne had fallen in love with him along the way and knew he was the only man for her. But Ash, who never suspected a thing, ends up confiding in her that he is never going to marry. All of Rayne’s hopes go up in smoke then, and knowing that she will never have Ash as she wishes to have him in her life, she reckons it is better she forgets about him. In the process, she turns her life over completely... and becomes the very clandestine and secretive top assassin code-named Kali inside the Corpus agency. 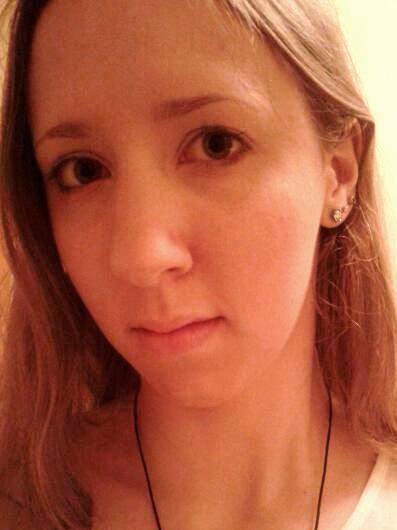 Seventeen years pass, and suddenly, Ash crosses her path once more. Having him step foot into her life again tells her she can no longer continue to be ruthless killer Kali, and she decides to retire from that life. Those were the starting points of the book, and it was an immense thrill ride through various European locations like London, Nice, Prague, Arles, and Hastings. I love playing the ‘what if…’ game. *grin* That’s the only way I can explain it, because I have no clue where the seed of a plot or character comes from (it seems to pop in from out of nowhere!) but once the seed is there, I engage into the ‘what if’ game and set it all rolling. I don’t actually have one, in that writing is a very erratic occurrence for me. I write when I can, usually between editing projects – I did mention that’s my day job, and coupled with my cancer-recovery health state, well, let’s just say I have less physical stamina than I would’ve liked, while my brain is most probably firing on all synapses at any given point. When I find a free block of time, I just sit down and write, probably to the exclusion of everything else (thank God the blokes in my life know how to order takeout or boil an egg with some ramen noodles to survive when I’m in the throes of writing!). But I think this also counts a lot in my ‘process’ – I ‘daydream’ all the scenes in my books (again, that brain firing up while the body refuses to follow? Usually in that line of thought). So when I go to write, I usually know what is going to happen and how, and I just let my fingers take over the keyboard then. When you reach a block. When the story, or the characters, is just not working as you wish it to or need it to. I hate stopping things halfway or before they are finished, and when I block on a story, I know I have to drop that project for a while until the solution presents itself to me God knows when. I just cannot force it then, and this is the hardest part, knowing I can’t do anything about it until my brain decides it’s finally time to unlock that puzzle piece in the big jigsaw. Getting to lose myself in other worlds! I mean, in the Corpus Agency series alone, I’ve gotten to be an amnesiac woman searching for her lost memory in Marseilles, France (Walking The Edge). 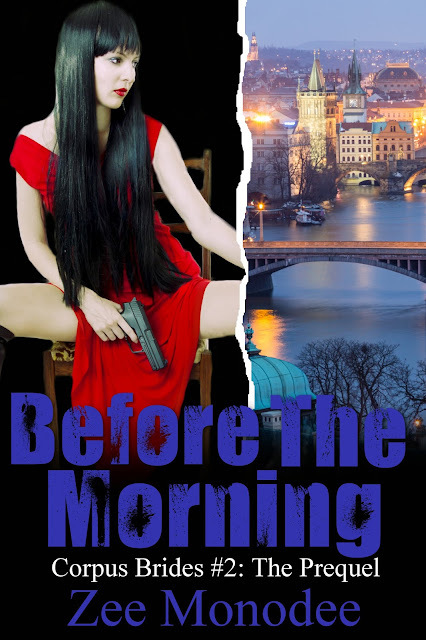 Then I was a skilled assassin giving it all up for love, and in the process, parachuted into her crazy Russian-Irish family all while there is a bridezilla type wedding being planned (Before The Morning). I again became a woman on the run, and this time, a medical doctor with a very shady past and an even shadier mind that conjures up torture methods the way other women invent new cupcake flavours (Let Mercy Come). In another of my books, I’ve been a world-renowned supermodel battling anorexia (Whisk Me Up, Book 1 in my Havisham Park series). In yet another one, I slip into the persona of an immortal woman who is the daughter of Greek god Dionysos and a maenad, and she has the power to control a crowd’s thoughts (The Eternelles series that I co-write with my bestie, Natalie G. Owens). I’m just a home-based editor and housewife/mum whose biggest thrill in life is managing to nab dream shoes in sales at the ALDO shop! Writing is my escape, my thrill-seeking avenue, and would you believe it, it is all entirely legal and consequence-free! 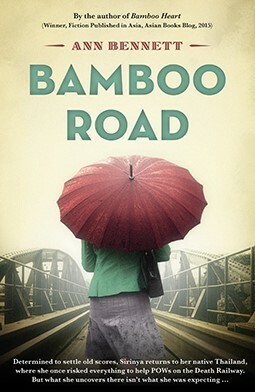 Sophie Kinsella and Jill Mansell, for always managing to write a truly engaging story that takes you through twists and turns you never see coming. Martina Cole, for using very dark and dismal themes as the backdrop for her stories, but then painting such exquisite characters that you cannot help but root for them even if they are mafia gangsters! And Kristan Higgins for taking the apparently simple and spinning it into something magical. Read her Blue Heron series and you’ll see what I mean here. You get the drift, LOL. Practice doesn’t make perfect, per se, but it does get you as close as can be to that perfection level. And the more you write, the more you come to discover yourself as a writer. What makes you tick. What always seems to make its way into your writing. What theme keeps recurring, never mind that you said this was a totally different genre… Write to discover who you are as a writer before you even think of publishing, let alone promotion and marketing. It pays to know who you are and what you and your books are about before you step out into the big bad world of publishing. The Undomestic Goddess by Sophie Kinsella. I can read that on repeat and never tire of it! Can I squeeze in that Kristan Higgins’ Blue Heron series is a very close Number Two here? At my desk. I tend to phase out everything around me when I’m writing and get to the ‘zone’, so the comfiest place for me is my chair in front of my desk with the very big screen right in front of me. But really, I can work anywhere if I really have to. For example, I have written a 52K book on my Blackberry-type phone in the hospital waiting room while awaiting my daily session of radiotherapy after my second cancer diagnosis, so I know it is possible. But given the chance? My desk, most definitely! To entertain readers. To make them smile and give that happy sigh at the end of any one of my books because we all got to the happy ending. To take them on a journey they wouldn’t have been able to take with anyone else, and thus have them equate my name with an unforgettable trip into life and romance. I would be lying if I said I didn’t want to make best-seller lists one day, but honestly, having readers and getting to hear from them is the highlight of this job for me, and I hope I can continue to make that happen, and in even greater numbers. Hmm... Remember that uni degree? I was employed, back in the day, in corporate. I’d started out as an administrative assistant, and within a year, had worked my way up to the coordinator of an after-sales department. That was over ten years ago, so who knows where I would’ve been today if I’d continued to climb the corporate ladder? But yeah, I would’ve been a corporate girl, probably hoping to make it to the executive level by now in PR or the communications department of a big firm or conglomerate-type. Well, I used to be a totally undomestic goddess. Still am, in certain aspects – thank God my husband knows how to wield a vacuum cleaner as if you left it to me, we’d have a whole house of dust bunnies in residence! But the kitchen is another story. I couldn’t cook to save my life back when I got married and set up house. I learned on the job – mistakes like, you actually have to cut the onions before frying them! (I kid you not! It’s happened!). I read cookbooks. Then ‘graduated’ to YouTube videos. Experimented (threw quite a few burned pans and baking sheets here). But lo and behold, one day, I actually managed to cook. And bake. So much so that I now love cooking and baking, and feel ‘off’ if I haven’t baked a cake in more than 2 weeks. I am halfway through book three in my sweet contemporary small-town series The Daimsbury Chronicles. 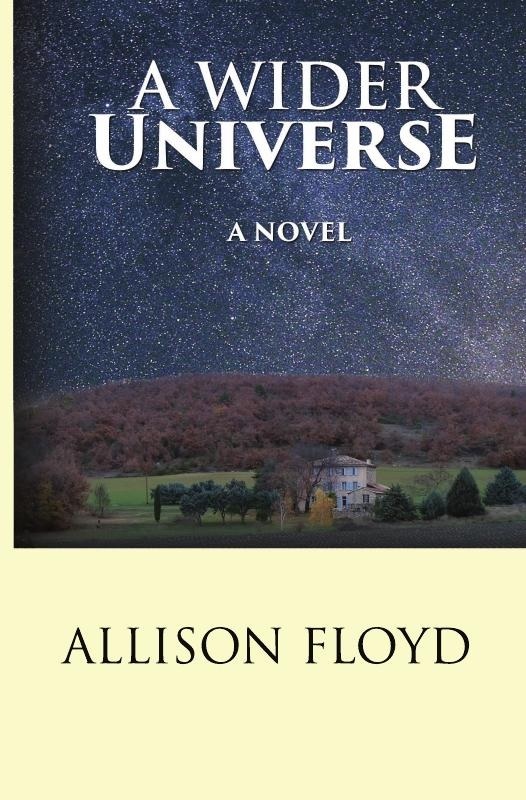 This story features a breast cancer heroine, so is very close to my heart. Brandwashed by Martin Lindstrom. It’s about the tactics and strategies of big companies to get consumers addicted to brands and keep them buying and consuming. Eye-opening stuff, to be honest! 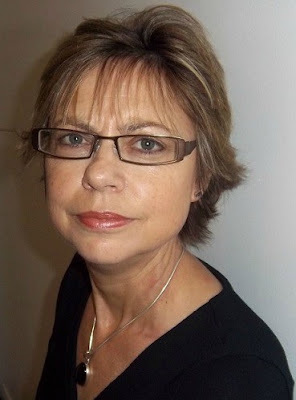 To find out more about Zee and her books, visit her website. Thanks again for having me over today! It’s been a true joy to answer all those thought-provoking questions. Today is my stop on the blog tour for Flesh of Innocents by Lee Cockburn. I have a spotlight on the character of Taylor Nicks from the book to share with you, written by the author. Enjoy! Taylor Nicks is a very astute woman, she is confident, very bright and intelligent and has been around the block a few times in life. She is worldly wise and has a broad understanding of life and the people in it and she is very streetwise and can handle herself. She is tall, athletic, and very aesthetically pleasing the eye, both men and women tend to watch as she walks by, she dresses well and takes pride in her appearance. She has long dark wavy hair, brown eyes, tanned skin, about 5’11” in height, and draws attention naturally and has an aura, a real presence when she walks into a room. She is very good at her job, very competent, efficient and really cares about getting the right results, putting bad people behind bars and protecting others. Taylor’s life has two separate entities, at her work she is in control and nothing phases her, she just gets the job done, with efficiency and respect and the hard work from her team. She guides them to strive to become efficient and they all work together as essential members of the team. Then there is Taylor’s love life, she is not egotistical, she has loved and lost before, book three will explain this, and there is a genuine fear of loving and losing again, but she does fall for Kay. Unfortunately the inner Taylor cannot help herself, if she feels a genuine attraction for someone, she may falter and be tempted, the thrill of a passionate encounter, a situation that sometimes has thrust upon her without going looking for it, is sometimes too much to turn down, the choice swayed by intimate desire and temptation. Taylor fears commitment, which is simply self-preservation. She finds herself attracted to several people at once and has real feelings for them. She is not looking for self-gratification, she does enjoy loving women and gets attention with her natural beauty, and she is actually a very nice, funny and decent person, and people are drawn to her, but when offers of more than friendship are thrust upon her, she finds it hard to resist. Taylor is a genuine person, very good at her job, but a little misunderstood and unhinged in her private life, but deep down a decent spud. High-powered businessmen are turning up tortured around the city of Edinburgh with one specific thing in common — a sinister double life involving paedophilia. Leaving his ‘victims’ in a disturbing state, the individual responsible calls the police and lays bare the evidence of their targets’ twisted misdemeanours to discover, along with a special memento of their own troubled past — a chilling calling card. Once again heading the investigation team is Detective Sergeant Taylor Nicks, along with her partner Detective Constable Marcus Black, who are tasked not only with tracking the perpetrator down but also dealing with the unusual scenario of having to arrest the victims for their own barbarous crimes. But with the wounded piling up the predator’s thirst for revenge intensifies and soon Nicks discovers that she is no longer chasing down a sinister attacker but a deadly serial killer. Vivid, dark and deeply unsettling, Porcelain: Flesh of Innocents is the perfect read for serious crime and police thriller fans. 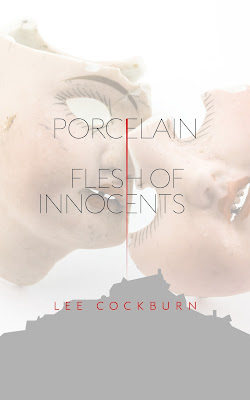 Porcelain: Flesh of Innocents is available to buy now. Lee Cockburn has worked for Police Scotland for sixteen years including as a police sergeant in Edinburgh for seven years and also as a public order officer. Before joining the force, she played for Scotland Women’s rugby team for fifteen years, earning over eighty caps for the Scottish ladies and British Lionesses teams. 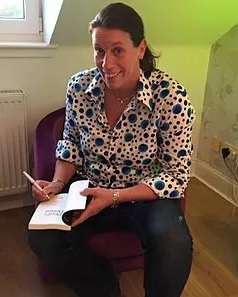 She also swam competitively for twelve years, successfully representing Edinburgh at the age of fifteen in the youth Olympics in Denmark in 1984. Lee lives in Edinburgh with her civil partner Emily and their two young sons Jamie and Harry. Her first book Devil’s Demise was published by Clink Street Publishing in November 2014.